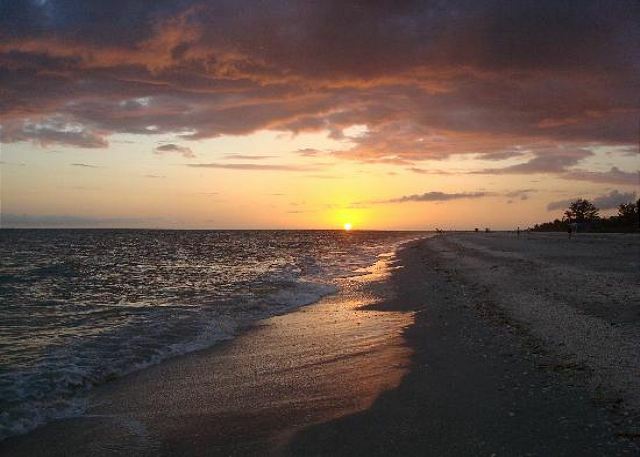 It is important to define what you wish to experience in Sanibel. For my sister and I, we traveled across the country for the sand and the shells. 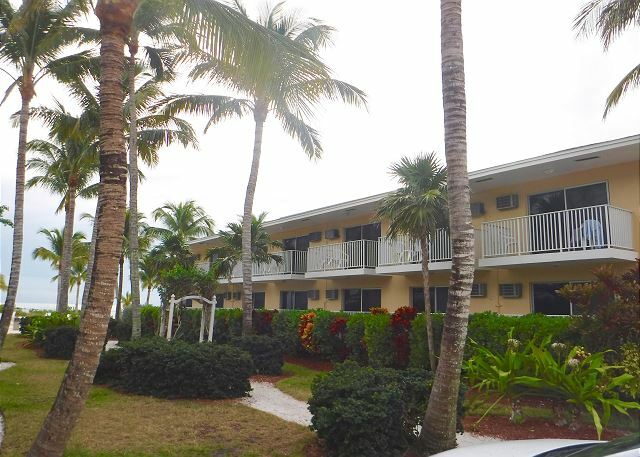 Prior to researching the Waterside Inn, I had made an initial reservation on the east side of the island but when reading TA reviews, realized we would be happiest on the less touristy west side of Sanibel. I was first impressed when contacting the Waterside Inn by phone, they actually spent time with me offering information and answering questions where other hotels had answering machines. When arriving at the Waterside, the hours I spent researching were validated in its perfect location, perfect beach, perfect room, perfectly quiet and tranquil surroundings. The Waterside Inn is a beautifully well maintained older property, updated with Wi-Fi and cable as well as kept shining with daily service. We began calling it "home" on the first day, always relieved to return to our spot in the sun after daily adventures or shopping. We enjoyed the freedom having a complete kitchen and grilled Mahi and prawns on one of the grills made available to guests. Many of the same guests were seen, favorite beverage in hand, celebrating the Sanibel sunsets each evening which became such a nice ritual of toasting life in paradise. The staff itself were true to their goal and always "exceeded" my expectations. The wild life was a marvel for us. For historians, we also found meaningful the appreciation of the history of the property itself and island as a whole. For readers, there are some wonderful writers who are local, notably Ron Base and the Sanibel Sunset Detective which added to the overall fun of the island paradise. On our next trip, we will most certainly stay at the Waterside Inn, in the same room with my favorite lime green chair and shell washing station just outside our door. The Waterside Inn personifies the magic and history of this beautiful island and we thank them for such a lovely and very memorable experience. It was lovely! The setting, the staff, our room, it was perfect for us! The only one thing that was not good, is that we were there only 3 days!. We want to go back for a week! 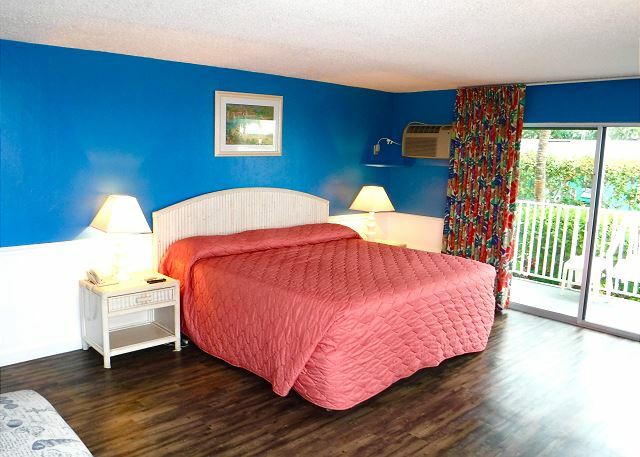 I loved the Waterside Inn in Sanibel. My son and his fiancee were married right on the beach at sunset. Our family loved the different cabins and the vivid colors, plus the stove, refrigerator and utensils were a gret plus. We were camping out in Paradise. My grandsons loved the ocean breezes and the sea shells were marvels of nature. We would return some day soon, perhaps for the newly wed's anniversary! Also, I would not want to neglect the courteous and friendly staff who helped in every way possible. Loved the experience!!!! We stayed at the Waterside Inn for 4 days this November and were absolutely thrilled with the experience. The staff was very friendly and the property quaint and cute and well upkept. We stayed in Pineapple 121 and had a direct view from our balcony and front windows of the beautiful Gulf and beach area. You literally left the room and were on the beach in seconds. The room was kept nicely. The bathroom was a bit on the small side but other than that we had no complaints. The property was very clean as was the beach area. The beach was lovely and very tranquil. We spent many hours soaking in the sun! We would definitely go back to this property!! It was a little slice of paradise before returning to 20 degree temperatures in Ohio! Unfortunately it rained most days. The bugs were very bad. I am told this is only true when it is rainy. I was bit up very bad, my wife, nothing. This was our 4th visit in the same room, the weather was a little iffy but the shelling was great. This is a very laid back spot, we only visit off season. The crew is very friendly and helpful, the room was clean and comfortable. We enjoyed every minute of our stay in the Pineapple 121 we had a spectacular view from our room. It was comfortable and clean. It was perfect for 2 people. The staff were very friendly and helpful. My only regret is that we didn't stay longer, 3 days is not enough. I definitely plan to return next year. I have told all my friends. Management very cooperative, well maintained property. Warm and friendly. Home away from home. I would highly recommend for family oriented stay. Everything you need right on island. Shelling, sunrise, sunsets and nature abounds. My family and I love this place. I picked a random place to stay and have not had any regrets at all. Have been a guest here for years now and can't wait to go back. My husband and I were only staying 4 days in Sanibel before a business conference. We LOVED Waterside Inn. The front desk people were always helpful and we will be back. A nice week on the beach. This was a really great stay for me. I couldn't believe that my room was ON-THE-BEACH. Just parked my car beside the unit(121), brought my things into the room, changed and I was on the beach minutes after arriving. It was very quiet and peaceful with wonderful views all around. We needed a place just to sit on the beach and relax. Pineapple 121 was perfect. Just a few steps to the beach. Great View. The room was very clean. Having a spinal condition, sleeping in motel beds is usually an issue. Not the case here... the bed was actually comfortable. The staff were all friendly and helpful. It was nice having a kitchen, too. Our only regret was not being able to stay longer. We definitely hope to go back. A great place to escape from the cold and dreary northeast. Sanibel is very quiet and subdued. If you are looking for a night life you may want to consider someplace else. If you are looking for peace and quiet this is your place. The Waterside Inn is a very nioe place. There is no on site food or bar. Absolutely loved the Waterside and wish we could have stayed longer. I've already booked for two weeks next year! 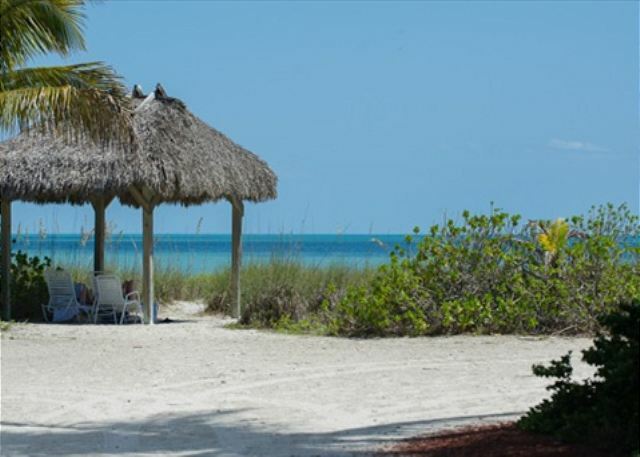 Great place, well equipped, awesome beach and ocean for sunning, shelling and swimming. It was absolutely wonderful...everything was as they described. The family that owns the resort was very friendly and accommodating. We will return next year! Great place to get away and enjoy sun, warmth and ocean views. Loved watching the dolphins swim by following the tour boats. We stayed at Waterside because the usual place we stay was full. It was a great choice, and in fact, we will probably prefer this to our other place. The room was large and right on the beach with a beautiful view. We could see both the sunrise and sunset from our windows. Not all the rooms have this great a view, but we were willing to pay a bit extra, and are not sorry. The beach was about 20 steps from the door. The people working there were the best -- helpful and very friendly. The location is an easy bike ride from shops and restaurants and lots of activity, but it's very quiet and private at the inn. Wish we could have stayed longer than our 4 days! Next time. Very clean units right on the beach. Friendly staff. Watched sunrises from our deck and sunsets from our door. Already planning another trip to Waterside Inn! Loved the shelling on a spacious, miles-walkable beach. Great sand, gentle surf, great breakfast, would love to return and spend more time in the area. We haven't visited Florida a lot, but think this was one of our best vacations. The property is older than many of them, but very comfortable, clean, friendly, private and up-to-date as far as amenities. The staff were one of the best things about our stay. The various people at the front desk were friendly and helpful, the women who cleaned the room were kind and thorough, and the caretaker (John or Jim?) is the best. He knew about every restaurant, food type and sight-seeing destination and had been at the hotel for years. He was so friendly and seemed to love working there. We would recommend this hotel to everyone, singles or families. 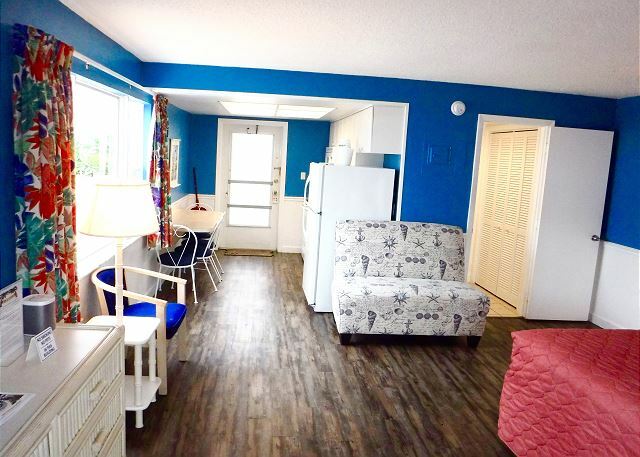 It's right on the beach, easy to find, convenient to restaurants and groceries, and small enough to feel private, compared to some of the larger, more impersonal hotels on the beach. It was a great stop. Waterside Inn's Pineapple Gulf front efficiency was a great rental. Picture window with a view of the beach and Gulf of Mexico and a balcony with a similar view. The place was quiet and very clean. Highly recommended! 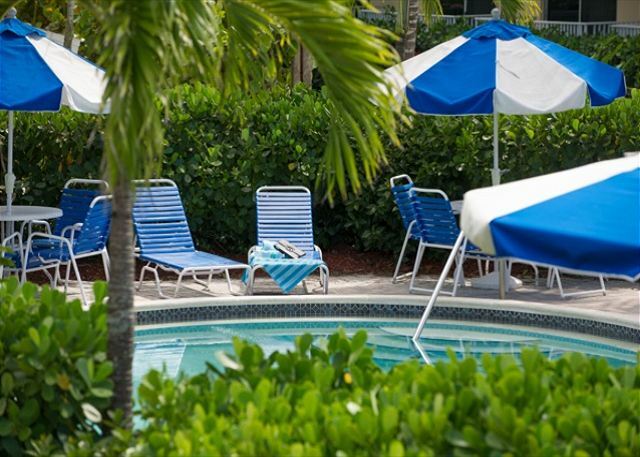 My wife and I picked Waterside Inn at the last minute, as the beach on Captiva was being restored. We were so pleased with our selection done online. Many of the places nearby appeared to be large buildings without the charm of the Waterside Inn. 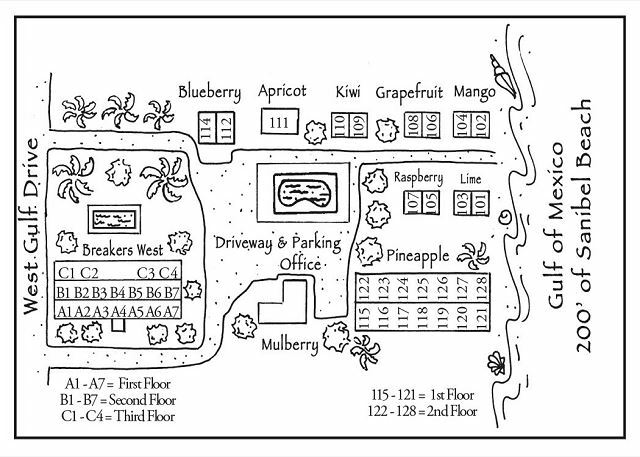 We were fortunate to get the ocean view room on the first floor of the Pineapple Lodge. It was quiet and romantic and lots of fun with the Gulf just a few steps away. We would strongly consider staying there again if we return to Sanibel. Just a few steps and we were on the beach! We loved our stay at Waterside Inn. It took awhile to decide on where to stay for a few days in Sanibel. My husband is weak from chemo and not able to walk very far. I emailed with questions about the best rooms for the shortest walk to the beach. I received a quick response and it was very helpful. We loved everything from the closeness to the beach to the large gulf front view in a large window. There was a nice little patio to sit out on if you wanted. Parking for this room was very close and convenient. We could not have been happier with our stay. We will be returning as soon as possible. Thank you Waterside Inn!! We had a relaxing gulf experience with a great view from our room. The beach at Waterside is just about perfect, and the view from our window made it even better. Watching for the dolphins every day was truly exciting.We would go back every year. We loved Waterside Inn. The close proximity to the beach rather than a condo was what we were looking for and our view of the gulf was great. Exceptionally and clean and well maintained. Took my wife away for a romantic W/E to celebrate our 29th wedding anniversary and it was wonderful! Loved the location, loved the view from the room and quick access to the beach and loved the sunsets! I come here every year and I love my stay. It is very enjoyable! I would not go anywhere else! Our window looked out over the Gulf where we watched the storm whip up a few whitecaps. The king unit had a small kitchen, front deck, that great window & nice decor. We only stayed a few days but it was perfect. Would definitely stay here again, with family & friends in a bigger unit or just us again in a small unit. 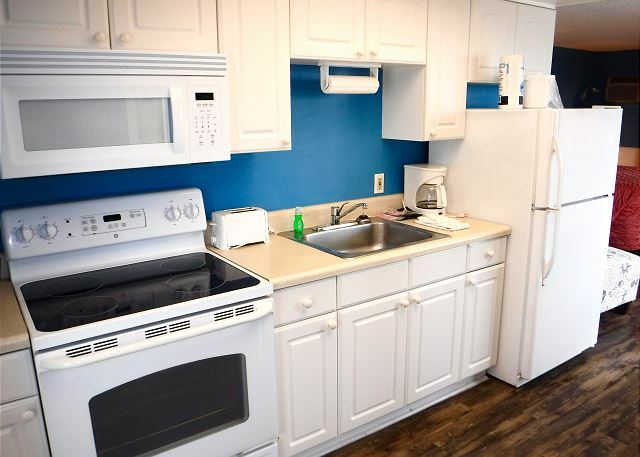 The colorful units were just what we wanted--sweet & small with great character. LOVED that our unit was only steps from a lovely beach, plenty of shells, but close enough to any other action we could want.